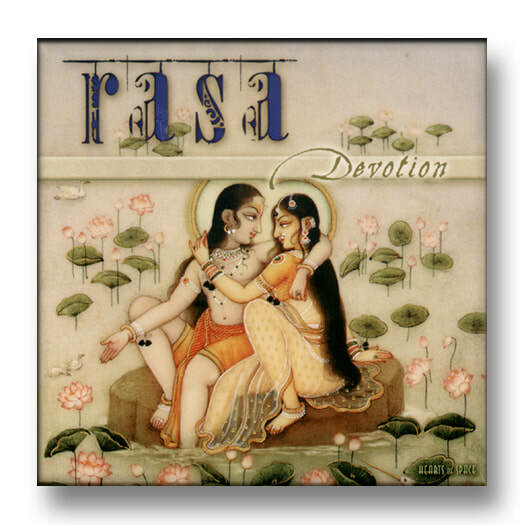 RASA's first CD, Devotion, was released in the fall of 1999 and immediately received critical acclaim from music critics, radio hosts, and on Amazon as a #1 title. This CD immediately defined RASA's sacred sound with the first track, Gopinatha- a hauntingly beautiful rendering of a prayer to Krishna. Kim's sensual voice was contratsed by Hans' longing calls on sarangi, with a hypnotic world music beat that was woven by expert drummers Greg Ellis and Girish Gambira. To this day, Devotion remains RASA's best selling CD.